Head waiter Jahangir Ali, managing director Shuel Ahmed, head chef Bashor Miah and Nia Griffith MP. 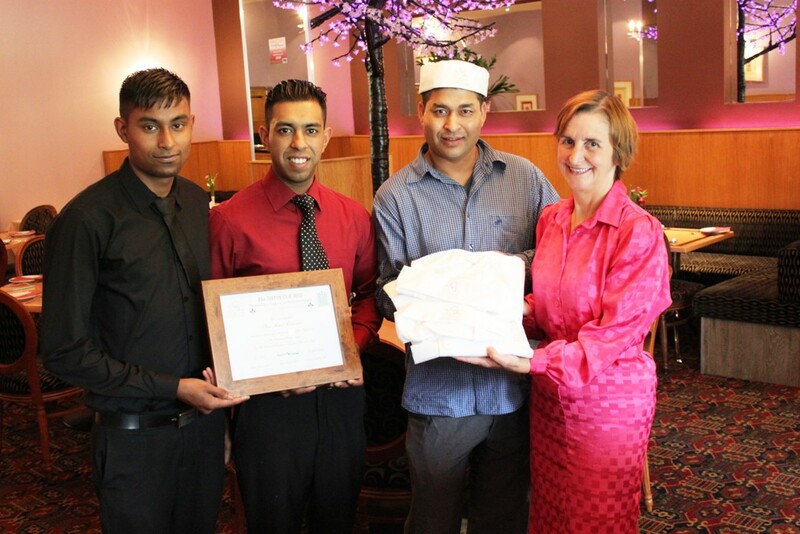 Nia Griffith MP has presented the Sheesh Mahal restaurant with a framed certificate and embroidered chef’s cap and jacket as runner up prizes in the prestigious Tiffin Cup competition which was held recently in the House of Commons. Nia said, “The Tiffin Cup celebrates culinary diversity and I am delighted that the Sheesh Mahal has been honoured in this way, it is a testament to the dedication and hard work of the staff of the Sheesh Mahal that they have yet another certificate for their restaurant wall, which if you are a patron of the Sheesh, you will already know is bursting with competition prize certificates. Well done all.